ninlive is wanting to preserve every single show on the US Tour (and possibly overseas). Recordings don't always need to be "perfect," I am a person that loves to hear the stories that come with each tape and how they came to be. That is what makes taping interesting to me. I've always loved talking with other tapers about their experiences taping and I'd love to do that with the nin community. I want to propose that there is a traveling rig around the country for the US Tour. Although there is no official taping policy like in 2009 where you can bring hand held gear in no problem. There will have to be some ingenuity getting this stuff in. Thankfully, the equipment will fit in the palm of your hand. I have made some great tapes with the mic that will be provided since I started taping when I was 12-13. Fun fact, I worked a whole summer at a local grocery store to save up the money for this mic and a DAT recorder before I quit. LMAO. Trent has acknowledged the site on public sites such as reddit, and I've done a few things with the band. Sadly, I've never gotten a real response on taping policy. I know that he supports the site and likes that it gets the fans closer to the band in this type of interaction with being able to download the shows. I've felt that the recording of shows has just been an unspoken rule of, "if you get your gear in, they won't stop you from taping but won't help you in any regard." After 2009, they were signed to a record label and that also might be the reason that they don't have an open taping policy. 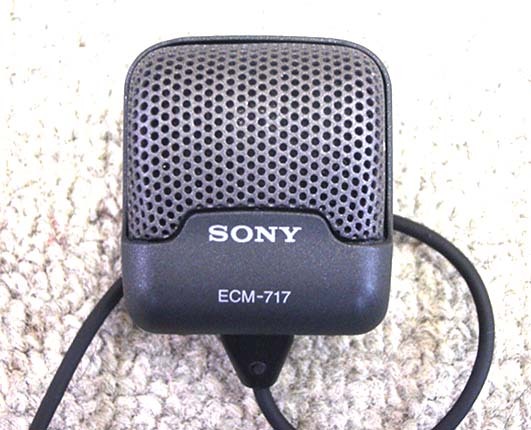 So, the mic is a Sony ECM-717 and the recorder is a Tascam DR-05. 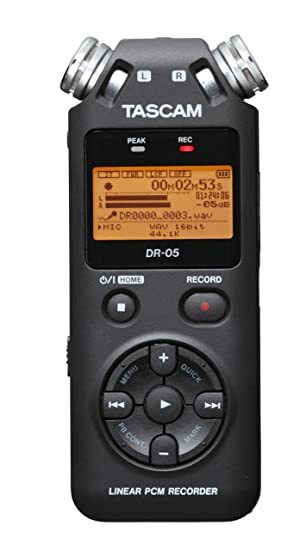 They both fit into the palm of one hand and you don't need any external batteries in order to run the recorder. The mic could clip to your collar or anything you wish. The user interface is very user friendly and it is truly a plug and play recording setup. I just want to be able to document all of the shows on the tour in some capacity. I don't care where you sit or if you think you can't make a great recording. It's the sake of being able to archive every performance. You'd be surprised of some recordings being amazing by recording from the back of venues. Just like the tour, it starts in Phoenix and ends in LA. I would love to send a box of goodies to one person in Phoenix and then it makes its way throughout the country to each show and gets recorded. The box content would be a 500GB hard drive in order to transfer the recordings of each show onto the drive, the recording device and mic and a journal. The journal I think would just be a great way to experience NIN on the road without hitting each show. As I stated before, I love stories about the time leading up to the show and what the taper thought of the performance. Each person would create a log in it and then after you're finished with transferring the recording to the drive and such. You would send it to the next city for the next fan to use. In this journal would also be tips in order to get a good recording and get the gear into the show. You could also PM me if you'd like to speak about it. Each journal entry would also be added onto the source guide of the archive. Which I think would be an amazing addition. You can't always expect others to tape the show. If you don't do it, the show may not have been documented. That's why I tape everything I go to and I have been really happy to do that. I know of tapers all around the country that may be taping shows. But if you'd like to get involved with some of this, please respond to this thread, PM me or email me. It would be great to interact with the nin community a little bit more and I think this would be a fun little project that would become something big at the end. Thanks for reading this. I'll create a list of which shows are covered with this. I have tickets for Memphis, Atlanta, Detroit and NOLA. I really hope to meet up with some of you in my travels. I have not done that enough and would like to meet some fellow NIN fans and talk shop. Last edited by ninlive; 09-15-2018 at 12:26 PM. I'm missing shows in multiple countries by just one or two days. Recordings always help to ease the sting - so thanks in advance to you and everyone else who spends the time and money and takes the risks in order to make / share these with the rest of us! Whether us sometimes grouchy internet assholes say it or not, we all appreciate it. A lot. Can you give some insight on what sort of setup, placement, or taper techniques/etiquette people will need to follow? I presume taping is best done by a fan that is stationary and for he most part quietly enjoys of the show. At face value this doesn't sound like me but I'd like to help if I can. Really wish we could get permission for audio and maybe even a couple of taping passes per show. Has that happened for past tours? Only 2009 NINJA Tour, and it was amazing. I don't think Wave Goodbye was open but @ninlive can correct me if I'm wrong on that. I do miss the open media policy, we got some amazing video, audio, and photo from that tour because of it. Even more so now that we don't have Rob to rely on getting some 5D Mark V (I think he was using a Mark V) footage. I don't have any recording gear, will just have my iPhone 7+, which technically can shoot 4k video. If I get anything good, I'll share it with the community of course, but I'm sure people with actual equipment will be much better. Great idea! I'm the guy that raised his hand on twitter about offering to record the London show with this rig, so just wanted to throw my hat in the ring again here. Thought I would create a thread about this. I want to start a 'traveling recording rig' for the US Tour. Very simple setup that is a plug and play. Also want to create a journal that each person will log in the journal to be shared on the archive on each show page. More to come. Ill be taping the 2nd night in Chicago. That reminds me I still need to release my Riotfest tape! edit: i use a tascam dr05 and core sound cardiods. position of choice regardless of what show it is is right in the middle in front of soundboard. Last edited by SM Rollinger; 05-31-2018 at 11:36 PM. Would love to hear your Riot Fest tape and meet up in Chicago. I updated the initial post. Hopefully that clarifies a few things for people. @rjharman would love to send the stuff over to you! I'll send you a PM. You would think the UK dates would get covered, but in fact, a lot go unrecorded. Of course standing in one spot would be ideal. But the character of each recording is also something that I am interested in. They don't have to be perfect and that is what makes each tape unique. I would provide some tips and tricks that I have done along the way. But it doesn't mean you have to adhere to them. Just enjoy the show and forget about the recording. If someone is willing to help, I will not turn them away. All I ask is you take care of the equipment to the best of your abilities. Would love that. Lets see if I can reach out to them. and yes 2009 was the only time they had the open taping policy and those few dates at the end of the Lights In The Sky Tour for The Gift footage. @SM Rollinger I would love to add that recording to the archive as well. Also, I just sent a DM to the nin account on twitter. That is my only form of communication for them these days. Hopefully they respond! Asked about their stance on audience recording and getting a taper pass for each show. If a taping pass can be secured, I will definitely travel to more shows/any shows I can that are not otherwise covered. Only joking. I look forward to seeing what you ladies and gents come up with. Audio only (for me at least). No distraction to anyone around. I’m more of an audio person anyways. Ideally if they respond for a taping pass, I’d love to have a video camera too. Then put a small snippet of the show/crowd like the spiral days? Kind of like for AATCHB and they gave MiniDV cameras to the fans to film. Just interesting and I’m talking out loud here. I'll be taping Boston both nights Vegas all 3 nights NYC the 13th and L.A. Last 2 shows hopefully as long as no issues at the venues. There are no words for how happy I am to hear you say New York City on the 13th! I think I’ve used that mic before! I’d be down to tape one of the DC shows with your rig if you can’t find anyone. Does it pass through a metal detector/wand? Yes, it's all plastic pretty much! I can say from experience that the DR05 will set off walk throughs and wands. If someone wants to supply me their rig I will record the three Vegas shows as well as the SF and one of the LA (night 3) shows. That's why you get a small cloth bag and find a friendly girl in line and have them put it in her purse. If they ask, she just says "It's my tampon/birth control holder" and they wont think twice. Last edited by NotoriousTIMP; 06-02-2018 at 03:40 PM. I really hope someone is able to tape all three Chicago shows and the three Las Vegas shows as I will be at Friday and maybe Saturday in LV for sure and all three nights in Chicago. Because of @ninlive I have copies of all the nin shows I have ever attended. I am forever grateful. If you can't get someone for the Chicago shows, I'd be totally down to try to get them recorded. Can you give us an update on what shows and who is committed to taping? I am updating the list as we speak. Also, can we not talk about how to get gear into venues on a public forum? If you would like some tips or tricks, please use the PMs. Thanks! Im excited I’ve had a handful of people interested in this! I am looking forward to fine tuning the project! Vegas all 3 nights should be covered, as well as Chicago all 3 nights. Agreed @ninlive . Same with who is taping what--should not be disclosed/posted without their permission. Agreed @ninlive. Same with who is taping what--should not be disclosed/posted without their permission. All that will show is the show crossed off the list above. I totally understand the discreet nature of this project. Sorry for saying too much. I'm just totally amp'd about the number of times I'll be catching nin this year!!! So, I have finalized the tour journal with the FAQ section and anything you may need in terms of tips/tricks for the tour. I sadly have been very busy with school and haven't had time to get the mic from my parent's house in Detroit (they had to send it) and send off the gear to the UK for the shows next week. So, I'm sorry about that. If anyone wanted to take the gear for some other Europe gigs, let me know. I should have it some time next week to send it over. I will be sending everyone emails/PMs for those that have and want to get involved. No excuse, but I have just been swamped with school and have my first exam on Monday. So I will get back to everyone! No excuse, but I have just been swamped with school and have my first exam on Monday. So I will get back to everyone! Good luck and thanks for all you do to keep the NIN bootleg scene alive and thriving!